Your air filter can get clogged with dust, dirt, and allergens, causing your air conditioner to work harder. Check your filter once a month and change it as needed to ensure your A/C unit continues to work efficiently. 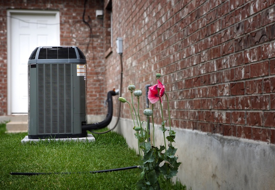 A well-maintained A/C unit runs more efficiently. Schedule an appointment annually to have your unit serviced. This may include cleaning out the drain, where dirt can build up. A programmable thermostat makes it easy to keep your home’s temperature comfortable to your family’s schedule. Set the temperature a little higher when your family is at work, school, or is asleep, so your home stays comfortable while reducing energy usage and saving money. You can also program it to make your home cooler as you get up or return from work and school. Fans can help circulate air inside your home and keep you cooler. 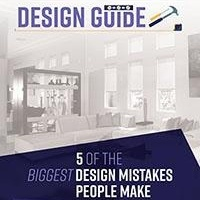 If you’re going to be in a room for a few minutes, turn on a floor, table, or ceiling fan. During the summer, ceiling fan blades should be switched to rotate counter-clockwise so the air blows downward. 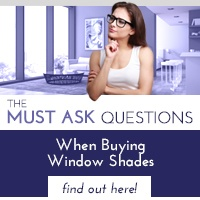 Install window shades to eliminate the sun’s heat and glare while still maintaining your view. Sun Control fabrics on a retractable shade can make any room more comfortable while letting you easily raise your shades when you’d like to. If you have to replace your A/C unit, make sure to choose the correct size for your home’s square footage. Features such as high ceilings and lots of windows can also affect the size unit you’ll need. 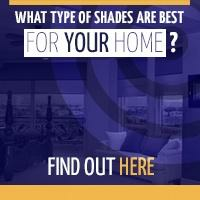 When you’re choosing a unit, look for the Energy Star certification for energy efficiency. Keep your cooled air inside by making sure your home is properly weatherized. Add insulation around air conditioning ducts, and seal air leaks with weather stripping and caulking. By the time you pre-heat your oven, cook some food, and wait for your oven to cool down, you’ve made your home hotter and your air conditioner has to work harder. Instead of cooking in the oven or on the stove, utilize a slow cooker or grill outside. 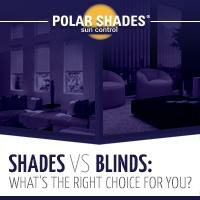 To find out more about window shade options, contact Polar Shades at 702-260-6110 for a free consultation, and download the Shades vs. Blinds guide for more information.